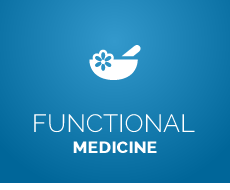 Experience natural, innovative health care solutions to help you feel great through all stages of life! You may think of relief for neck pain and back pain when you hear the word “chiropractic”. While chiropractic can provide natural help for such pain, it addresses so much more than that! Northeast Colorado Springs chiropractor, Dr. Michelle Caplan delves deep into the underlying causes of pain and disease. At Caplan Chiropractic, she looks at her patients’ whole lives to determine how she can help improve the way they’re feeling. No matter what you’re feeling, Dr. Caplan wants you to know that no problem is too big – you can find relief. Many of her patients come to her with complex or chronic issues. When patients share their histories and make a commitment to their health and overall well-being, she is able to help them overcome things they thought they would have to live with forever. You won’t get a prescription and head home as you might elsewhere, and life-changing results don’t necessarily happen overnight. Chiropractic can, however, do wondrous things for people. Many of Dr. Michelle’s patients have overcome debilitating disease and found a level of health and wellness they never imagined. Would you like to enjoy optimal health? 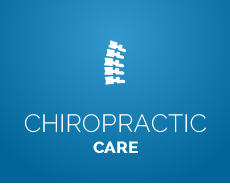 Contact us to find out how our chiropractor Northeast Colorado Springs can help you improve your health and wellness. 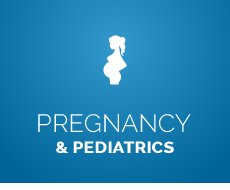 Very thorough, comprehensive evaluation and care. Michelle was great – really took the time to understand what I needed and helped me a lot even after just 1 visit! I would recommend Michelle for Chiropractic care or Active Release Technique therapy. Dr. Caplan amazed me with her extensive knowledge involving the chemistry interaction of foods with my body. She took her time asking appropriate questions & explaining everything in layman terms. I felt an immediate sense of trust & hope for my condition. Dr. Michele is a professional who cares about her patients. Will refer the people who I care about to her. Dr. Caplan is phenomenal. Just by observing my posture she could tell why I was having the pain in my neck and left shoulder. The treatment is going very well, and the pain and discomfort has decreased tremendously. Dr Caplan is extremely professional and knowledgeable in her field. I have only had a handful of appointments and have already noticed a difference. 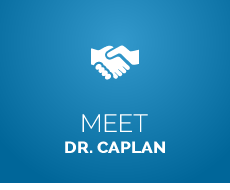 Dr Caplan is a caring, dependable medical professional. I am so glad I had her in my corner. I love the holistic approach Dr. Caplan takes with her patients! My entire body, not just my spine, feels so much better after a treatment with Dr. Caplan! I highly recommend her to anyone serious about feeling healthy again, especially if they’ve been in pain for years like I was. Absolutely would recommend to friends and family. Dr. Caplan shared very educational and encouraging advice regarding my situation. I felt brand new after my appointments with her! Michelle is amazing! She is knowledgeable, thorough, thoughtful and encouraging. I highly reccomend working with her! Great job with everything. Feel great! My relay team and I just broke our record, we’re going to our region of California’s finals and my hip doesn’t hurt a bit! I don’t even have words to express my gratitude toward you because none of that would have happened without you. Thank you!